Happy Monday! I say "happy" because I think Monday's need some extra cheer but not because I am necessarily happy that it is Monday. Monday is not my favorite day of the week...because John has to go back to work! I love the family time that we spend together on the weekend! 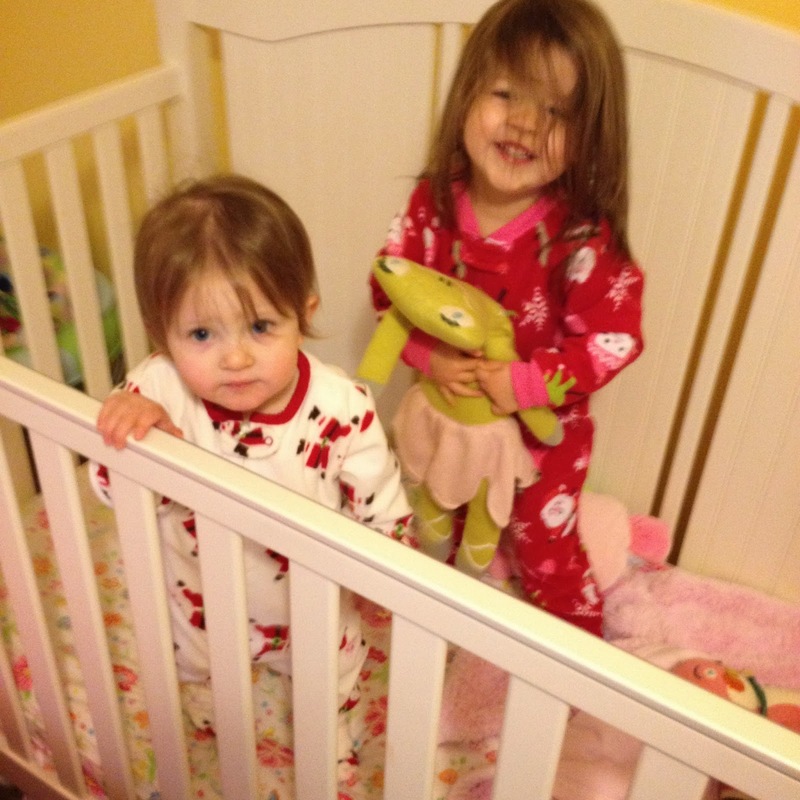 However, walking into Lacie and Blakely's bedroom this morning put a smile on my face - it always does! As soon as I walk in the door at exactly 8am, Lacie asks if she can go into Blakely's crib...as if sleeping a few feet away from her has caused them to miss one another so much over the course of the night! Ignore the messy morning hair and focus on the adorable Christmas pajamas! 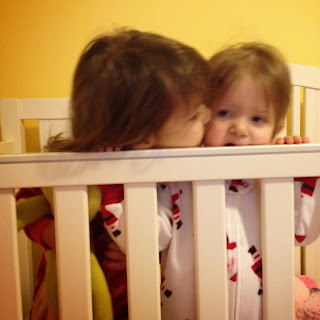 Kisses from Lacie while a cranky teething Blakely chews on the crib rail! 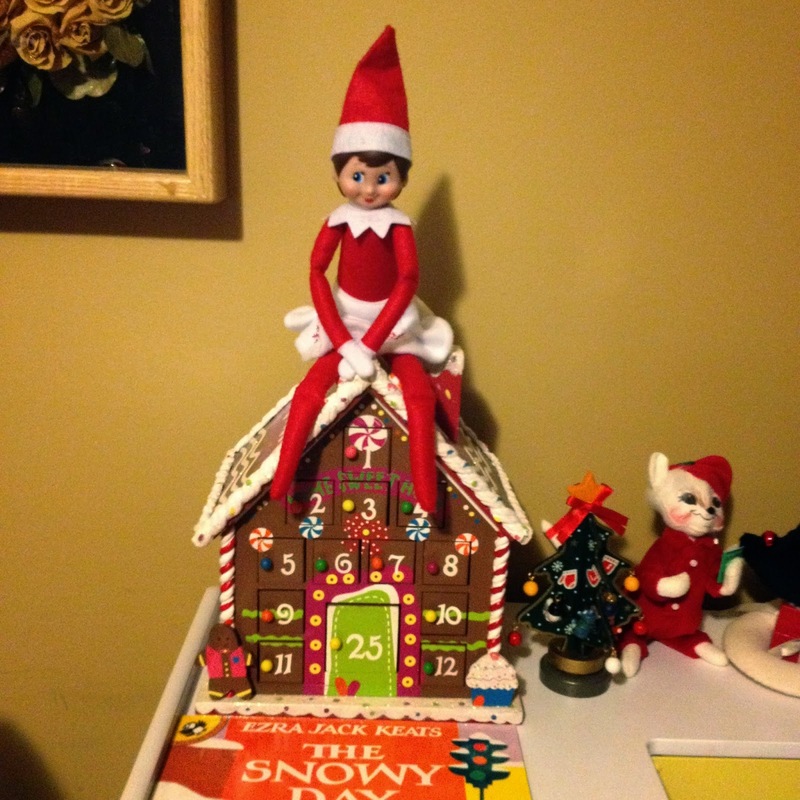 We are having so much fun with Cocoa, our Elf on the Shelf! 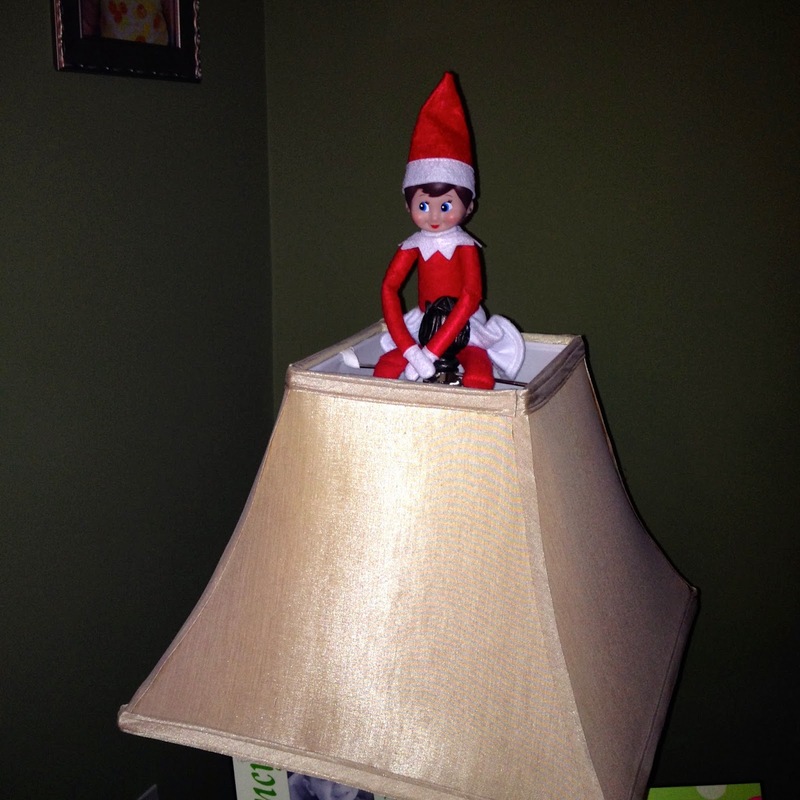 Lacie (and even Blakely) are so excited to look for her every morning. And it is really keeping those two year old temper tantrums in check! In fact, my father-in-law remarked that we should probably talk to Santa and see if Cocoa can stay on year-round at our house! It's not a bad idea. I am seriously considering it. But I don't think we have enough places in our house! 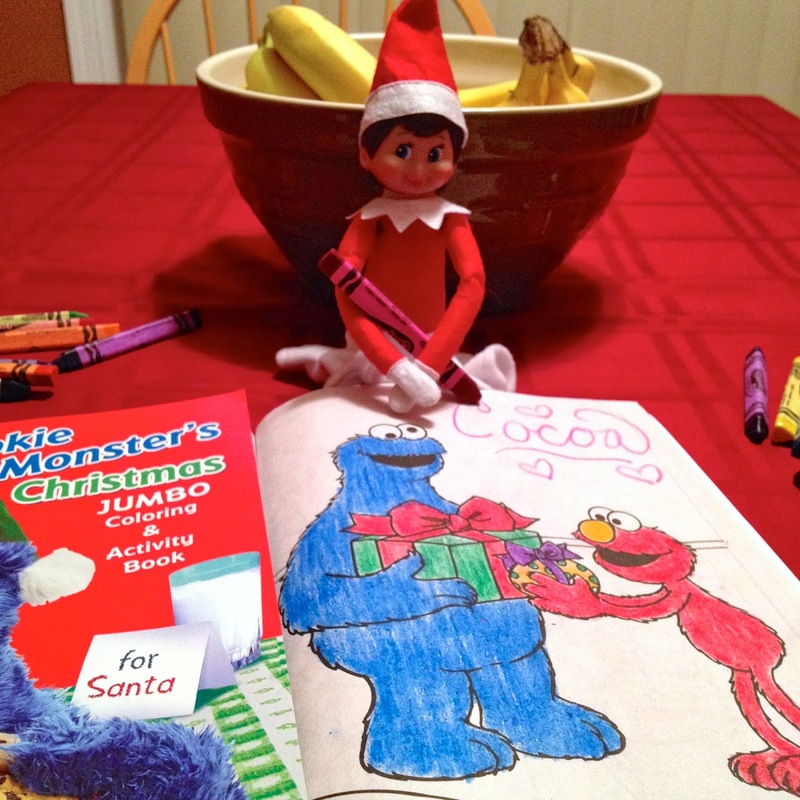 We found Cocoa in the kitchen coloring in one of Lacie's coloring books! 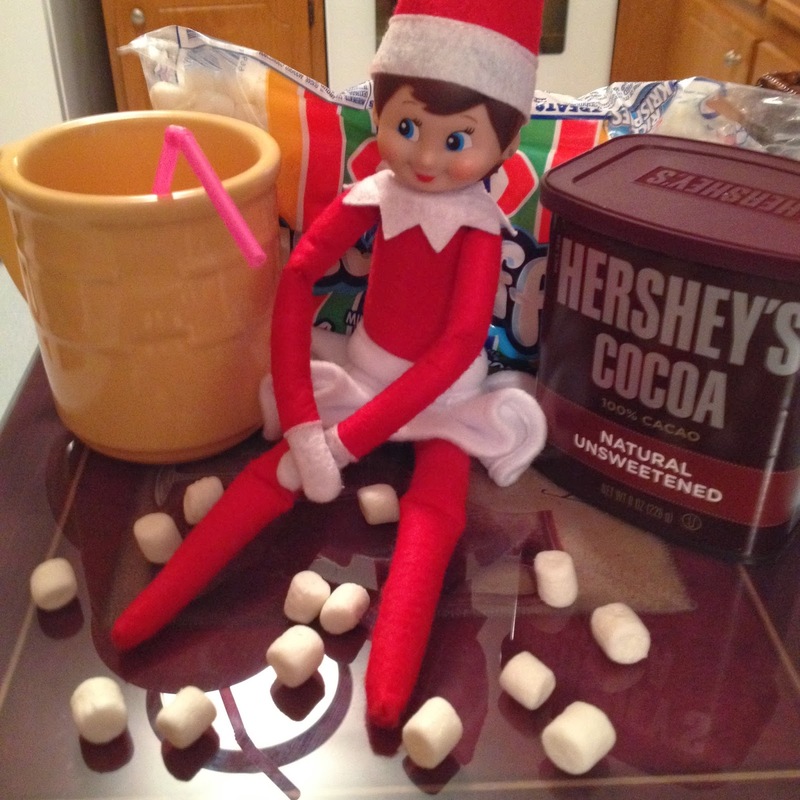 Cocoa decided to make herself a cup of Cocoa in the middle of the night! She made a mess with the marshmallows too! Lacie and Blakely were more than happy to clean up the marshmallows by eating them throughout the day! 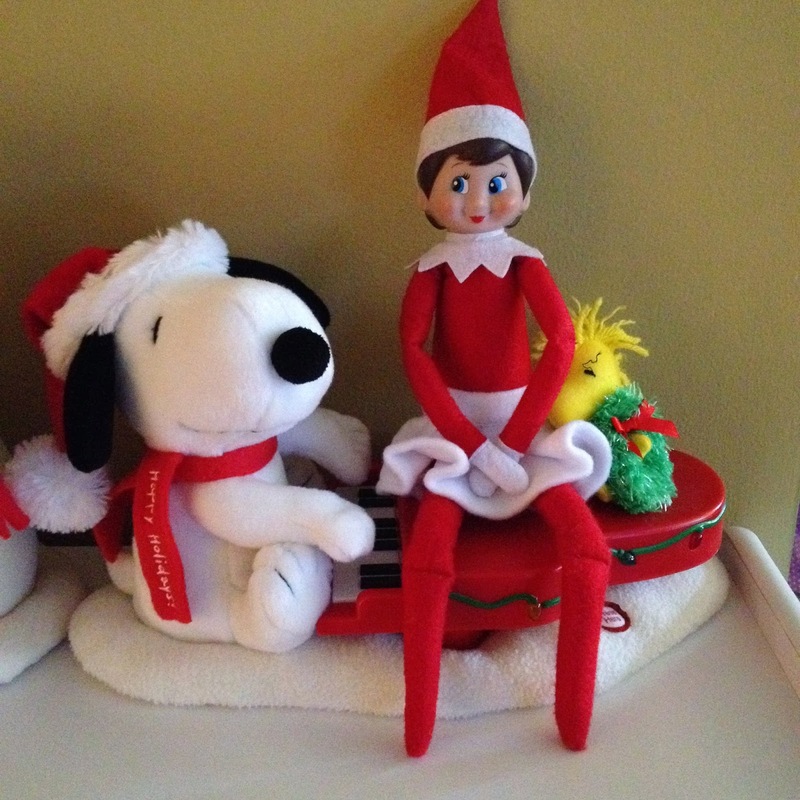 Cocoa hung out with Snoopy and Woodstock for the day! Watching from the lamp in the living room! This gave her a great view of that day's activity! Perched on the gingerbread Advent house! Cocoa sliding down the pole of the blinds! Another great spot! I can't wait to see what spots Cocoa will discover this week! Read about our first week with Cocoa here. Read about our second week with Cocoa here. 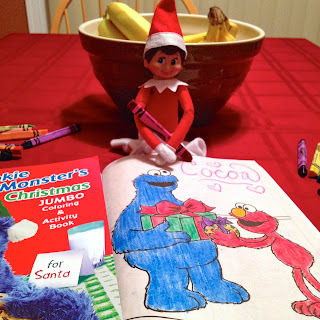 Read about how we introduced Cocoa our Elf on the Shelf here.